Cheops will lift off on a Soyuz rocket operated by Arianespace from Europe's spaceport in Kourou, sharing the ride into space with a satellite that is part of the Italian Cosmo-SkyMed constellation. The two satellites will separate in turn into their own orbits soon after ascent, with Cheops operating in a low-Earth orbit at an altitude of 700 km. 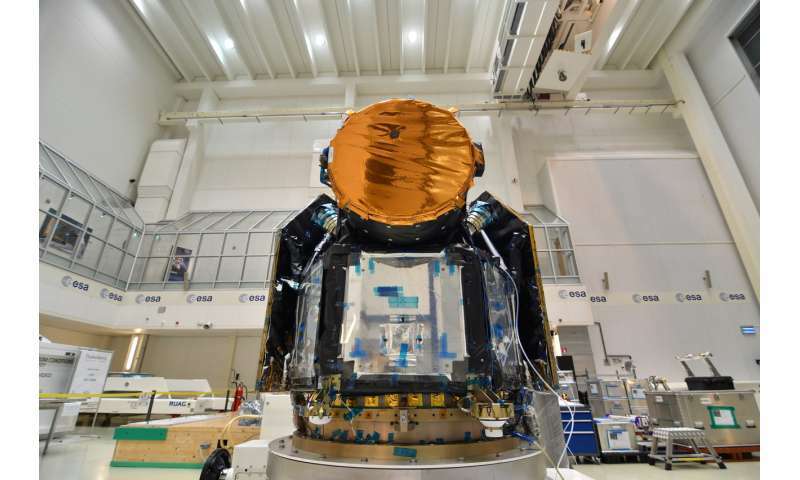 The satellite, which recently completed its environmental test campaign at ESA's technical centre in the Netherlands, is currently at Airbus Defence and Space, Spain to perform final tests, ahead of being declared fit for launch in early 2019.